Structural surveys require structural engineers to carry out a detailed survey on the structure of a building. This structural planning must be carried out from top to bottom to ensure that it is detailed and precise. Why do i need a structural survey? Structural surveys are used to determine what materials are used in the building, the condition of the roof, the state of the foundations and the integrity of the walls. The strict process is designed to find any issues within the building that are both obvious and not immediately obvious. Any problems found will be detailed in the report listing any repairs that need to be carried out. Novo55 can provide a wide range of services within the fields of structural design, inspection and assessment in addition to health and safety. 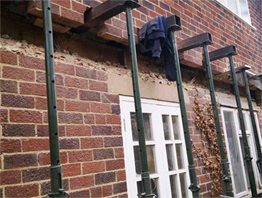 We carry out various structural calculations taking into consideration supporting walls, steel beams, damp, leaks and much more. 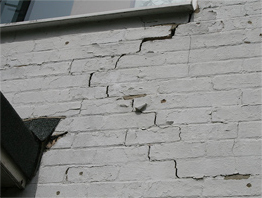 We carry out detailed structural inspections of domestic and commercial properties, usually within two days of approval to proceed. Reports produced include recommendations and budget estimates if required. Our reports are easy to read and contain photographs with detailed explanations. We guarantee to provide reports within 5 working days of the inspection.